I don't drink much yet I found myself out at local spots twice this weekend. 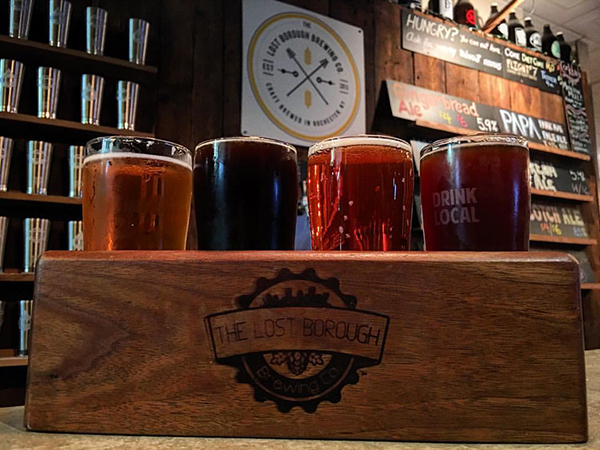 The first was The Lost Borough Brewing Co. I hand fashioned a gift certificate for Aaron for his birthday and he just now got around to cashing it in. It's a small spot but with lots to offer. He enjoyed a beer flight and fixed his sights on joining their mug brew crew. My favorite part was the electronic dart game they have. Cricket anyone? 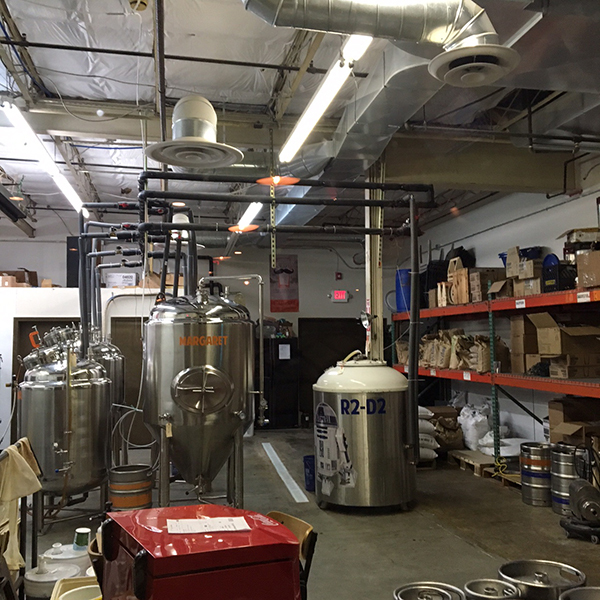 They do their brewing on site and you can peek at their production through a window in the back. Notice the R2-D2 container? 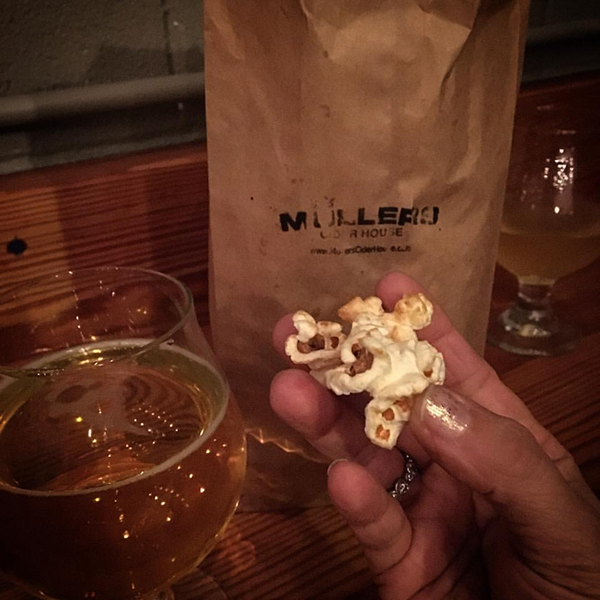 We also checked out the new Muller's Cider House on University Ave. If I had my choice I would go with cider so it was fun to see what they had to offer. It's also a small spot, but nicely dark and cozy. They don't make their own cider but they have a wide variety to choose from and you can get a flight of what is on tap. They also have a small menu of cheese plates, panini and my favorite - kettle korn!